Latest designer gold bangles. 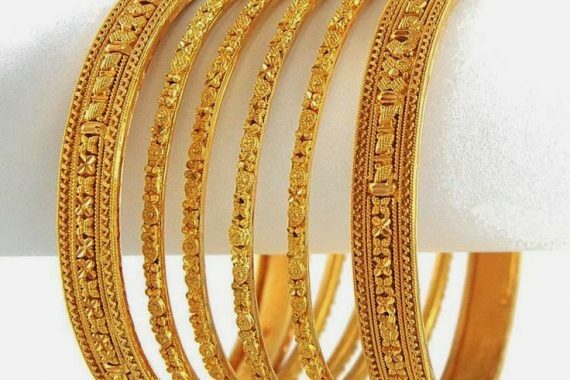 Flat 22k gold bangles with embossed designs & different width sizes. 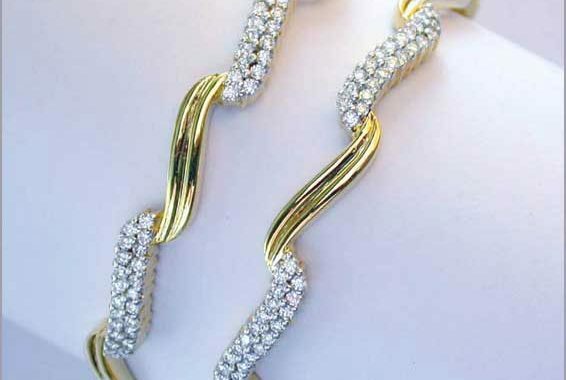 Designer bangle with alternating gold & stones for occasional wear. 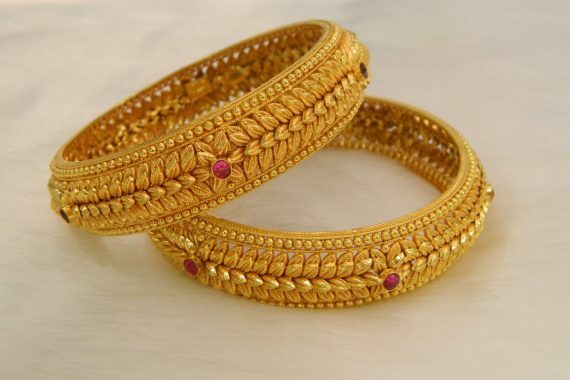 Wide gold kada bangles beautifully designed in gold & buby stones.